Kiosk collaborated on the Waste & Resources Action Programme’s (WRAP) “Love Food. Hate Waste.” campaign. Their campaign concept is elegant in that it is simple and data driven. WRAP has shown that people are throwing out 7.2 million metric tons (tonnes) of food and drink from homes each year. They determined the value of that food to drive the point of waste home to us as consumers, £12 Billion (that’s $18.5 Billion, yes, with a B). They continue to educate with more information about how this waste affects our environment and the impact of waste economically. The ability for us to collect and analyze this data has allowed us to become aware of a problem that we may not have perceived in the past and is helping us overcome it. Marketers are faced with similar issues every day. Consider the additional waste of that food when you factor in marketing costs associated with it. The Minnesota Star-Tribune reported that cereal manufacturers spend up to 8 percent of their total cereal sales on advertising1. What if this cost could be reduced further so that these saved funds could be diverted to higher employee salaries, better quality ingredients, research and development, or invested into the communities and environments in which the businesses operate? That would create sustainable growth. We hate waste. We love data. If we are investing money on our client’s behalf we ensure that there is an expected return and that there is a way to measure that return. We tirelessly seek ways to beat waste out of the system to improve not just our own processes but the entire customer ecosystem and experience. Beating waste, does not mean reducing quality or service. It means understanding that some processes (or media or creative or services) are inefficient. It means analyzing data to find the processes that are suboptimal and fixing them. 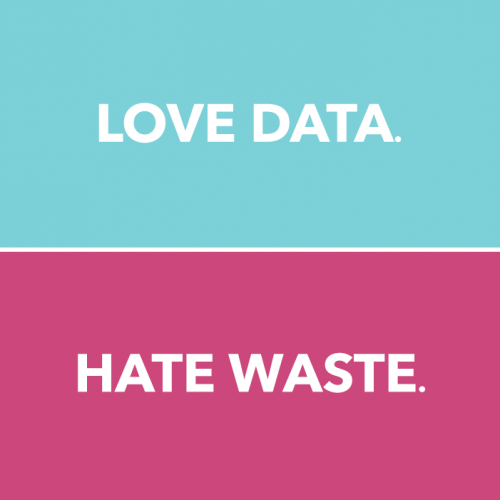 We aggregate the right data, analyze it and improve our efforts against it. We audit the data to ensure that it’s the right data. We test against it and test again. If we can reduce our investments, while maintaining our return, we know that we can all succeed.